The location of a home you’re considering buying will affect you in two ways. First, it will affect the property’s future resale value, especially if the area is becoming less desirable. Second, it will affect your lifestyle. If the area doesn’t have the features you want – nearby schools and playgrounds, walking trails, proximity to activities that interest you, such as golf or restaurants – you probably won’t enjoy living there. 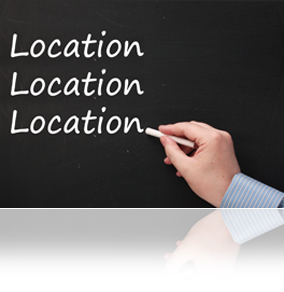 A good real estate professional will help you find the right home in the best location for you.